CAN, Bishop Oyedepo, Pastor Adeboye and other christian leaders in Nigeria have moved to advise the Federal Government to remove itself from all international Islamic organisations. News gathered as also pointed they also used the platform to discuss many other issues that affect the Nigerian church as a whole. Present at the meeting include the General Overseer of the Redeemed Christian Church of God, the Bishop of Living Faith Church Worldwide, President of the Christian Association of Nigeria, Rev Dr Samson Olasupo, Prof Yemi Osinbajo represented by the Villa Chaplin, Pastor Seyi Malomo, and former CAN President, Pastor Ayo Oritsejafor. and other top christian leaders in the country. “CAN Call on the National Assembly to compile the list of all organizations Nigeria belongs to and all the treaties signed with a view to dropping all the religious ones. “That we declare the inability of the State Governments to pay worker’s salaries and allowances as at when due as unacceptable and call on the Federal and State Governments to work together to do this. 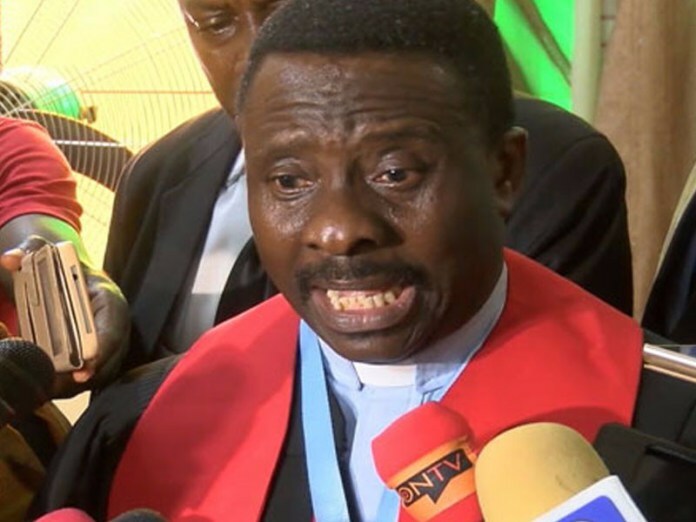 “CAN Calls of the National Assemblies to prevail on the States in the North of the country try to henceforth be issuing Certificate of Occupancy to the churches there to build their houses of worship. “That CAN calls on the Federal Government to address the issue of a breakdown of infrastructures such as roads, electricity supply, provision of adequate funding of health facilities in the nation so as to stop the untimely death of our people and medical pilgrimage abroad. “We call on the government to declare a state of emergency on the unemployment in the nation and deliberately set up machinery towards the provision of employment for many school graduates who are roaming the streets or becoming a nuisance to the society through the commission of many crimes. “Those in government who are either Christians or Muslims or those outside it are either ignorant of the truth or are mischievous when they say that there is no plan to Islamize Nigeria. “The fact that the United States of America, United Kingdom, France and South Africa had adopted Sukkuk or any other Islamic financial system does not change our position that our government does not have the right to be implementing the Islamization Agenda of IAO quoted above because our constitution does not permit them to do so in a society with plural religion like ours.